In this article I am looking at an exciting new deck built by Atsushi Ito that took down a recent MTGO Modern Challenge Event. The deck is a speedier and dedicated version of the Vizier/Devoted Druid combo decks looking for quick wins. Some people are calling it Turbo Vizier. 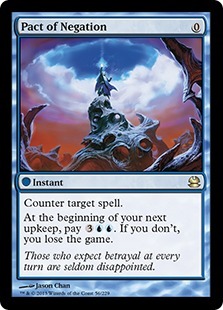 It can go off as early as Turn 2 and Turn 3 wins are fairly regular if your opponent doesn't interact with you. This is our infinite mana combo. With Devoted Druid and Vizier in play you can tap Druid for G and then untap it without putting a -1/-1 counter on it to generate infinite mana. It is important to note the combo in itself does not win the game and the win condition of this deck is Walking Ballista . We have a number of ways to find Ballista once we have the combo going and we also have a lone Duskwatch Recruiter that can be tutored with Summoner's Pact to allow us to search through our library and pick out the Ballista. 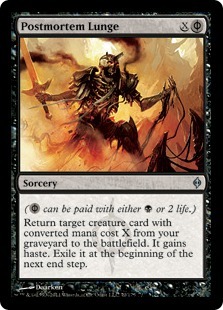 The de-facto win condition for the deck. 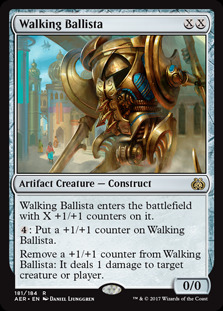 Ballista can get made as large as we need with infinite mana and can then ping the opponent to death for the win. Turn 2: Land, Devoted Druid with haste, Tap Druid for G, Put a -1/-1 counter on Druid to untap. 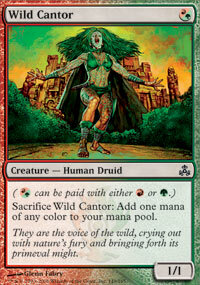 Tap for G. Cast Wild Cantor , sacrifice it to make W. Cast Vizier of Remedies - make infinite mana. Cantor is also a creature that we can sacrifice to build towards Delirium and can be a chump blocker too keep us alive. Duskwatch Recruiter is another mana-sink for our infinite mana which allows us to search through our whole deck for creatures. We can then pick out Ballista and finish our opponent. The advantage of having Recruiter is that we can tutor it with Summoner's Pact as it is a green creature so it's another route to our win condition. These are our cycling creatures. They did us deeper in our deck and add a creature to the graveyard for Delirium purposes. 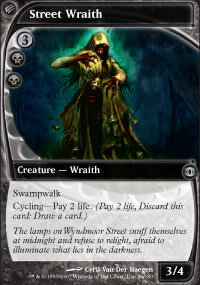 Between Street Wraith , Horizon Canopy and Hall of the Bandit Lord there is quite a lot of life loss in the deck. This is certainly something to wary of. 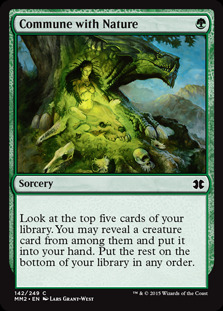 In a lot of ways, Traverse the Ulvenwald is the best card in the deck. 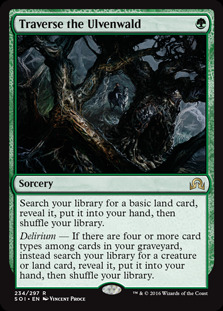 Once Delirium is active it is a tutor for any of your combo pieces or Walking Ballista as a finisher. 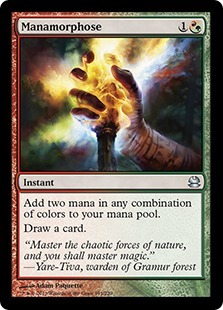 Also, before that it can used to tutor up the basic Forest in the deck to ensure you hit your second land drop. 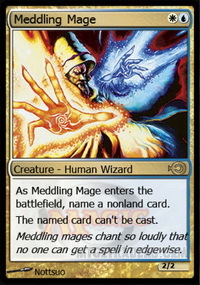 Stirrings isn't as powerful in this deck as it is in other decks it features in. 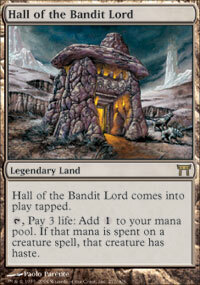 However, it helps us to run a nice low land count and find Hall of the Bandit Lord , Mishra's Bauble and Walking Ballista . The latest addition to the one-mana green cantrips. Impulse only looks at 3 cards but can find us a land or a creature which are crucially the cards we are looking for with this deck. Commune allows us to look at our top five cards and find a creature which is very handy when we are digging for Devoted Druid , Vizier of Remedies or Walking Ballista . Lunge is a tasty bit of tech for the deck as you can use it reanimate either of your combo pieces. Crucially, it also gives the creature haste so you can use it on Devoted Druid to combo immediately. Granting Druid haste is the way the deck has managed to speed up the combo and make it that much more deadly. As explained above, Manamorphose is one of the keys to a Turn 2 win for the deck. 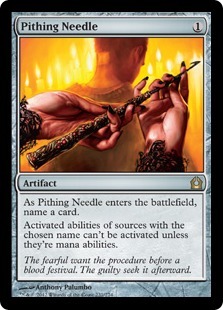 It can help you generate the white mana required to cast Vizier of Remedies and is otherwise just a cantrip to dig deeper in the deck. It's possible that we should be running more of these. Summoner's Pact is a tutor for any green creature in the deck. Most of the time you will be looking for the missing Devoted Druid and other times you will be finding Duskwatch Recruiter so you can use its ability to search through your deck for Walking Ballista . 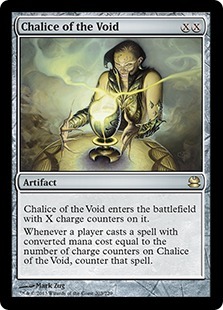 Post-sideboard it can also be used to find Reclamation Sage to answer problem cards like Pithing Needle , Chalice of the Void and Walking Ballista. Pact of Negation is an interesting card in the deck. It's not truly essential but it is very strong against some matches. You have to use Pact on the turn you are going to win as there is no way to pay for Pact in the deck (well barring the lone Manamorphose ). This works very well if you are able to give Druid haste and can combo off in one turn but less useful if you have to give the opponent an opportunity to kill your creatures on their turn. Pact works best against Control and removal heavy decks where you can sneak through your combo and counter their key answer. A staple of Delirium decks as a 0-cost artifact that draws you a card on the next upkeep after you sacrifice it. Often it is most useful to take a look at the top card of your own library with this deck, as we have very few ways to interact, and then you can decide if you want to shuffle with a fetchland or similar. 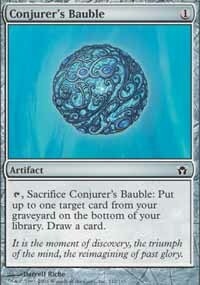 Bauble is another cheap artifact that can be sacrificed for free and draws a card. It can also put a card in the graveyard on the bottom of your library but note this is optional. When you are trying to get to Delirium sometimes you want all the cards in your graveyard there so you can sacrifice the Bauble without putting any cards on the bottom of your library. 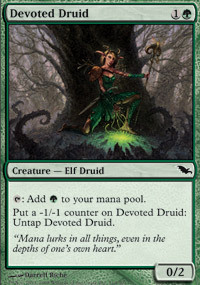 The ability can be useful though to add answered copies of Devoted Druid , Vizier of Remedies or Walking Ballista back into your deck. Honestly I thought Conjurer's Bauble felt a bit too cute a lot of the time. Perhaps some delicate maths went into it but it does seem quite expendable. The deck runs a very light 14 lands but in theory you only need 2 lands and generally 3 is sufficient to achieve what we want. 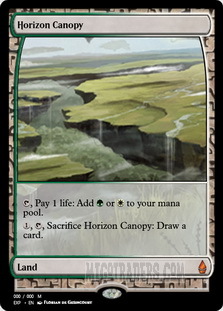 Also, with all our green cantrips we have a lot of cards to make sure we find our lands. Hall is a key card for the deck as it allows the deck to cast Devoted Druid with haste which means you can then combo off in a single turn. Otherwise you have to give your opponent a turn and the chance to kill Druid. 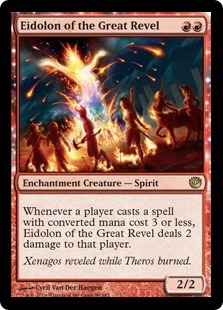 Path to Exile is an answer to opposing creatures and adds some removal to the deck. 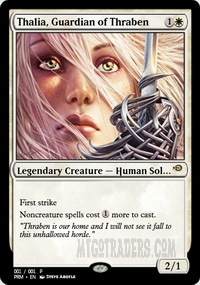 There are quite a few creatures that pose big problems for us, including Leonin Arbiter, Thalia, Guardian of Thraben , Meddling Mage and Eidolon of the Great Revel . Slaughter Pact performs a similar role to Path, giving you removal but for no mana investment to allow you to win that turn. 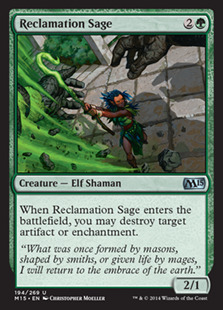 Reclamation Sage is artifact and enchantment destruction in a package that can be tutored up with Traverse the Ulvenwald or Summoner's Pact if necessary. 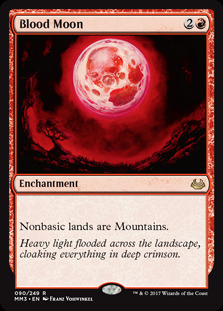 It answers a lot of problematic cards like Pithing Needle , Engineered Explosives and even Blood Moon . 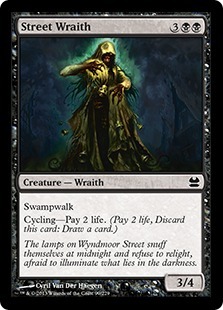 Dissenter's Deliverance is more artifact removal in a handy cycling package that allows you to add an instant to the graveyard to assist in reaching Delirium. Postmortem Lunge comes in against removal heavy decks where you can use it as a way of getting back your deceased Devoted Druid with haste. 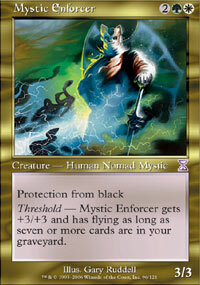 Mystic Enforcer is a bit of a mind-boggler. 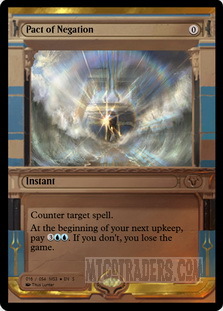 In theory it is a four-mana 6/6 flyer that you can potentially grant haste but it's not like the deck puts any pressure on life totals otherwise. Defense Grid comes in against Control and removal heavy decks to protect our creatures from removal. I was missing a second copy of Reclamation Sage in the videos as I was struggling to find another M15 version. Here is a quick video deck tech explaining the deck. Our first matchup is against Amulet Combo. 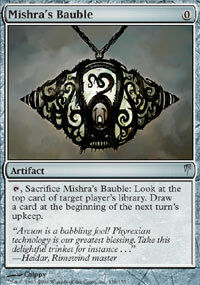 Amulet is very light on removal and in fact I don't think it runs any removal main deck. As such this matchup is ideal as we do not have to worry too much about interaction from our opponent. However, on the flip side Amulet can also do some degenerate things and is capable of some speedy wins of its own. Accordingly, this is basically a race to see who combos off first and I think we have the upper-hand generally in that department. Our second matchup is against Eldrazi Tron. 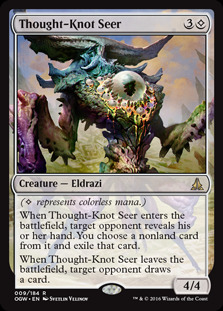 In Game 1, they don't have much removal so we are just looking not to get run over and to avoid the cards that can disrupt us like Walking Ballista , Chalice of the Void and Thought-Knot Seer . 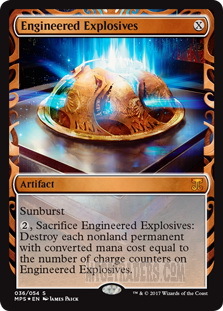 Post-board we can bring in our artifact destruction while they get to bring in Pithing Needle and other hate. This match is not straight forward and much more tricky than I would like. Our third matchup is against Hollow One. This match feels very high variance. They do not have a ton of removal but they are capable of very quick starts and we don't have a lot of ways of dealing with that other than comboing very quickly. I don't think we have the upper-hand in this matchup unfortunately. Our fourth matchup is against Scapeshift. This matchup is quite similar to the Amulet Combo matchup but Scapeshift tends to run a bit more removal. It's a race for the most part and again I think we have the upper-hand as our combo is faster. Our fifth and final matchup is against Jeskai Control. This is quite an interesting matchup as it is one of the removal heavy matchups that can make life difficult. We have some strong cards for this matchup though in the form of Pact of Negation and Postmortem Lunge which can allows us to combo off for that One-Turn Kill. This matchup went a lot better than I expected. This is a very interesting combo deck and it has been a lot of fun to learn. It is a bit of a glass-cannon but certainly has some merits. The deck can be very fast and Turn 3 wins are pretty common if your opponent isn't able to interact. Granting Devoted Druid haste allows the deck to create impressive One-Turn Kills. Allowing you to steal games from unsuspecting opponents. 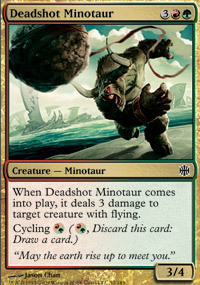 As the combo is entirely creature-based there are lots of ways for opponents to interact with the combo. Removal heavy decks are tricky to beat on that basis. The deck can be quite suicidal between Street Wraith , Horizon Canopy and Hall of the Bandit Lord which can be a liability against Aggro decks. The deck has a very difficult Humans matchup, which is problematic given that Humans is currently the most popular Modern deck. Death and Taxes also seems like a big problem. French Pro and Pro Tour Legend Raphael Levy recently released an article and videos looking at the deck if you want to check out more content on this deck.